Welcome back everyone! Term 4 has certainly started with a hiss and a roar. I loved hearing the laughing coming from our students in the hall watching the Royal Jelly Show this week, interspersed with long periods of silence while they “soaked it all in”. 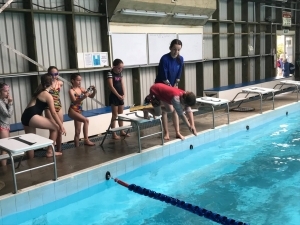 The Year 3 & 4 students started their swimming programme, and Athletics equipment was dusted off for the season. This week was a snapshot of Term 4 as a whole – testing for end of year analysis, kids outdoors blowing off steam, and fun events that are just a little outside our ordinary. Today we have 285 students at our school – each week is becoming a new “record”. Welcome to our new students, and their families, as they become a part of our SBS family. Thurs 20.12 Last Day Term 4! Please put aside Saturday 17 November, even for an hour or two! Instead of a Gala this year, we have decided, in conjunction with our PTA, to host a “Working Bee” here at school. There will be lots of “fun” activities for parents to get involved in: mainly weeding, planting and bark spreading. We could really use your help to get on top of our huge garden areas. There will be activities to keep children entertained, including the Book Fair, and refreshments available. Every little bit helps! 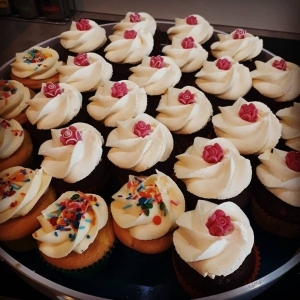 On Saturday October 27th the PTA will be running a School Bake Sale at the Kowhai Festival and they need your help! Other than your amazing home-baking (watch for the paper plate/cake box to come home with your kids) they would love your help on the stall! 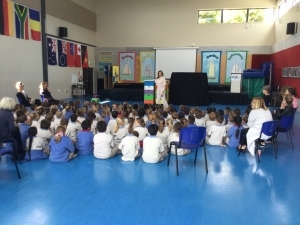 Students from across Years 0 – 3 thoroughly enjoyed the Royal Jelly Show performance this week! There was lots of information on the humble bee, and how hugely important they are to our planet. This was presented with humour and fun, and was targetted really well at the interest level of our younger students. It is always a great match, when outside performances support in-class learning. 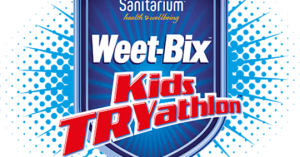 Registration is now open for the 2019 Weetbix Tryathalon taking place on the Hibiscus Coast on Sunday 24th March and this year we are entering a school team. Earlybird registration is now open to anyone 7 years and up and costs $40 (which is a 30% discount). 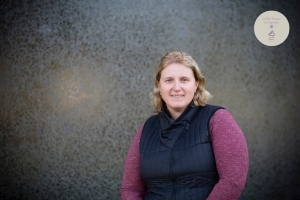 To register visit https://tryathlon.co.nz, signing up as an Individual Participant and then selecting Yes-Join my school group and selecting Snells Beach School. 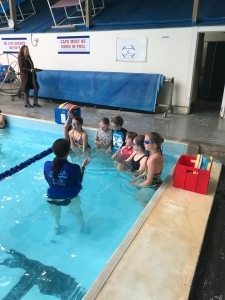 Students from Year 3 & 4 in our Middle School headed off for their first swimming lesson with Aquakidz, in the Mahurangi College Poll yesterday. They are grouped according to their confidence and ability levels, and have a series of 6 lessons. It was great to see lots of smiles and fun! 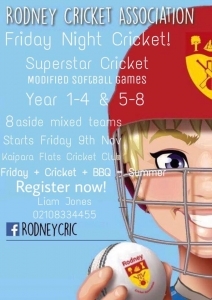 Are any parents interested in co-ordinating a cricket team for the Friday Night Competition at Kaipara Flats? Cricket on Friday evening for All Kids at Kaipara Flats. Form a team at school ‘8 aside’ with your friends and register on Rodney cric facebook page or just turn up and we will put you in a team. Great family evening with BBQ, refreshments and sport for the kids. If the kids dont have cricket gear, no probs, we provide it.